The year of the selfie. 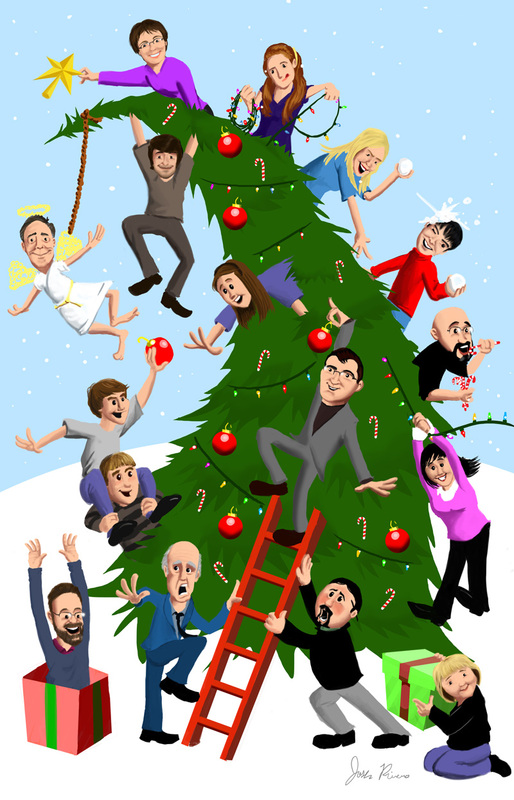 Annual commissioned illustration holiday greeting card for Delta Scientific Laboratory Products by our own Josh Rivers. 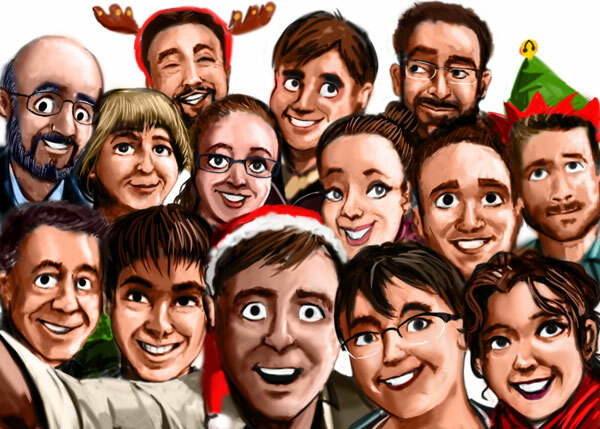 This year we even did personalities for all of the 17 staff members while they are going for a holiday sleigh ride. At the for front are owners Ken and Frances McGuinness as well as Operations Manager Ted and the triplets, David, Cerys and Patrick. 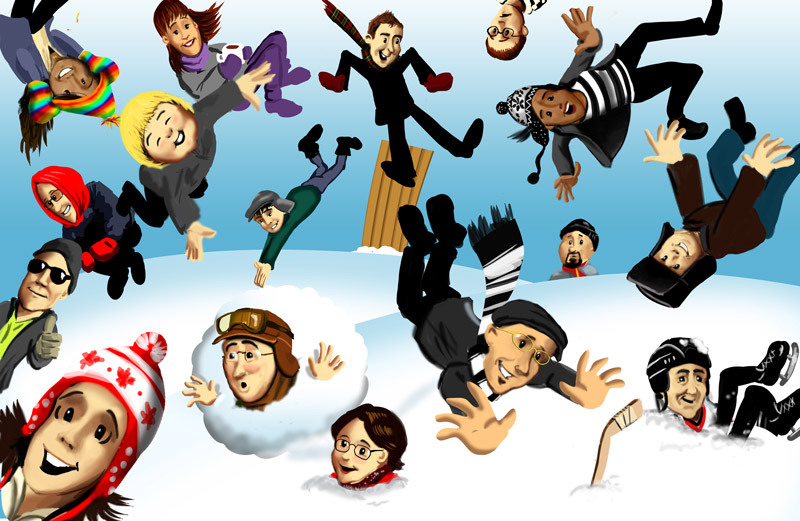 We especially love the back of the card where everyone falls off the sleigh into the snow. As well as our illustration we did an awesome new website for Delta-Sci.com this year and watch for the aalamps.com new ecommerce site launching early in 2013. 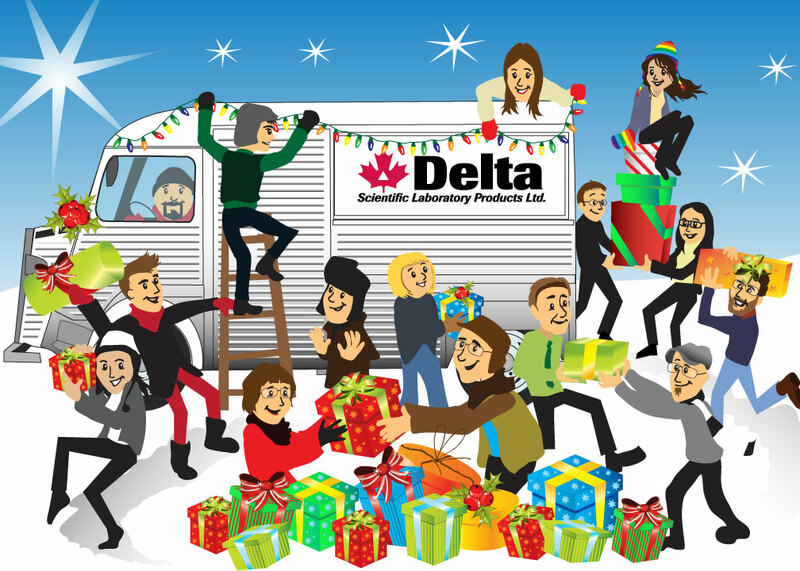 Many thanks to Delta for their patronage and friendship in 2012. It’s my favorite time of year, when I keep my friend Josh Rivers very busy with Christmas card orders. The one featured is for Delta Scientific Laboratory Products in Mississauga. 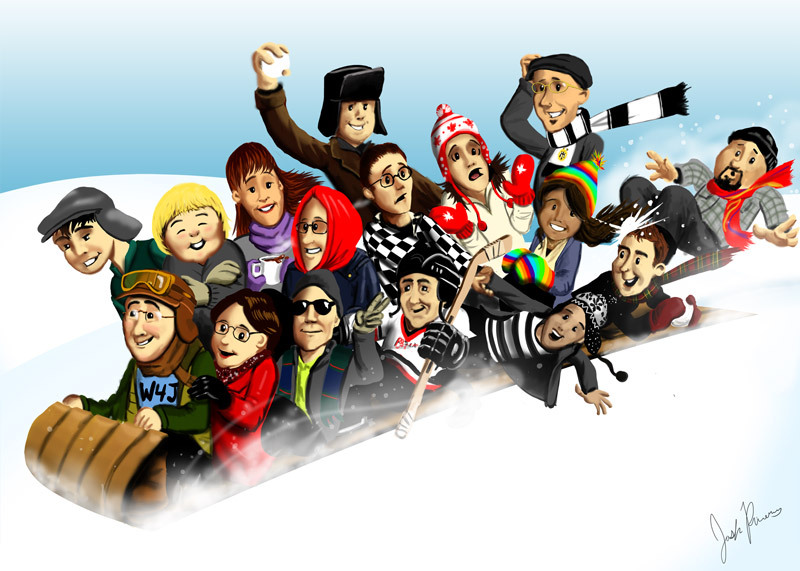 It’s their second annual holiday greeting card where all 15 of the Delta employee’s are featured in a themed illustration. 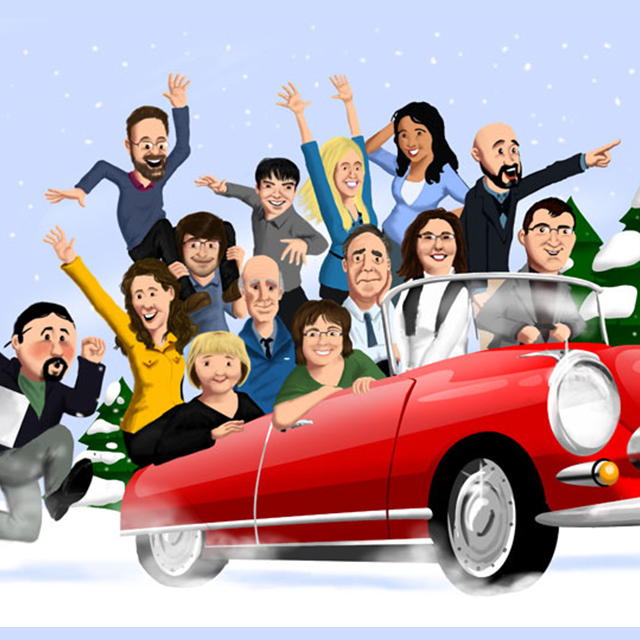 Last year we did all the gang in Ken’s Citron which is a red antique convertible and this year we did a tree decorating theme. It is all original artwork, a digital painting, done with Adobe Photoshop and a tablet by the very talented Josh Rivers. See the gallery attached of some of my favorite cards over the years. It’s not to late to order yours!